Time to toss the Manual triggers? Maybe not quite, but the new YongNuo YN-622C are certainly going to shake things up, at least for Canon speedlite users. The original YN RF-602 triggers were a breakthrough for budget reliable triggers, and the YN-622C looking set to do the same for Remote Manual, TTL and HSS triggers. We are already seeing listings as low as $75 a pair shipped. Which is less than a mid range set of manual-only triggers. If you use speedlites at all, the convenience of remote control from the camera is really hard to overlook at this price, even if it’s just for the remote Manual control. TTL and HSS may be just a bonus. UPDATE – June 2014 – The YN-622C-TX transmitter units are now also available to control YN-622C as receiver units. The YN-622C-TX provides a faster built in LCD interface, and also provides significant added features like the ability to mix Remote Manual and TTL groups at the same time. UPDATE – January 2015 – YN-622C units produced after December 15th 2014 now provide direct compatibility with the remote manual YN560-TX transmitter units. 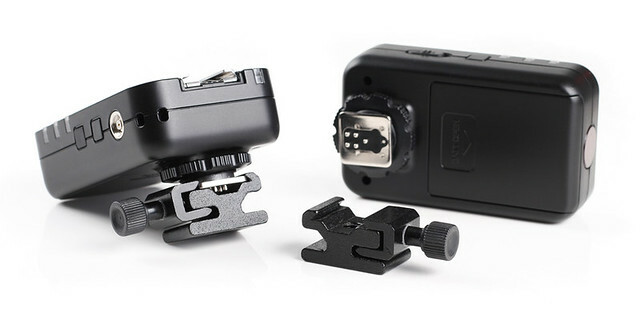 UPDATE – August 2015 – YN622C II are now available, adding a quick release lever locking hotshoe, USB port for firmware updates, and easily selectable YN560-RX mode. UPDATE – August 2015 – YN685 Speedlites are now available, with YN-622C and RF-603 / YN-560 radio receivers built inside. The YN-622C allow full Remote Manual Power Control, as well as HSS, and ETTL from the Canon camera flash control menu (requires camera with flash control menu and compatible flashes). The YN-622C allow ETTL Ratios, and they have a pass through style hotshoe on top which allows flash on camera use in ETTL or Manual. As well as a basic focus assist light which works reasonably well. Being transceiver units (both transmitter and receiver in the same unit) allows for back up transmitter units. And build quality is generally very good for the low price (though there have been some minor quality control issues at times). YongNuo also have the advantage of having a bunch of their own inexpensive compatible flash units, even a HSS version in the YN-568EX II already selling at $105 and lower. The one ever important omission though is the lack of USB port for firmware updates. UPDATE – USB ports are now included withe YN622C II models. UPDATE 2015 – The YN-622C have been available for a number of years now and have set the standard for inexpensive ETTL triggers. 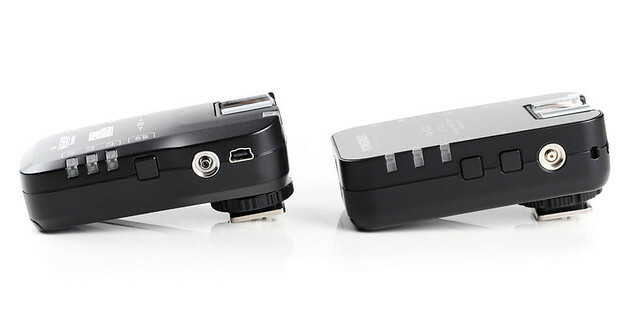 They are now easily the most popular TTL triggers currently sold. The YN-622C where reasonably stable and reliable when first released in 2012, and with numerous software and hardware updates over the years they have improved further to be generally quite hassle free. Providing quite complex processing (compared to simple manual radio triggers) it is still possible for the YN-622C to lose communication on occasions. And this usually just requires turning the transmitter unit on and off to quickly reboot the system before they return to normal use again. If issues still remain then a quick Factory Reset of all the units usually resolves these. If you’re experiencing any unusual behavior a Factory Reset will often resolve those. For the price there is no question the YN-622C are generally exceptional value. Though like anything built to a price the YN-622C production can suffer from quality control issue from time to time, so it pays to take note of the sellers return / exchange policy. YongNuo themselves will provide 12 months warranty from date of manufacture, though you will be required to pay return shipping costs to China. So far all indications are very good, everything seems to be working as advertised. No misfires or random fires and range is around 50-60 meters (and sometimes more line of sight), which is generally enough. I had one small issue from the start where the camera would not go over x-sync without a HSS flash attached, though a quick factory reset of the triggers resolved that, and no problems since. Note – If you ever do have an issue, or suspect lack of compatibility with a camera or flash etc try the Factory Reset. The convenience of remote Manual control capability alone is really great for the price, then the ETTL and HSS are very handy too. The AF assist light is also something I have been campaigning for for a long time, and it does a reasonable decent job. The only issues I noticed otherwise were the test fire button is not so easy to feel for on the side of the case, and you can easily bump the channel button instead putting the Tx off channel accidentally. I’m going to stick something onto the test button just so its raised a little and I can feel where it is easily. The other thing is the locking rings are far too small and it can be hard to tighten and loosen on the camera sometimes. The 622C case is also flat on top which is not friendly to locking ring access on the pass through shoe either. That seems ok with most flash units, but placing another trigger on top for example, also with a small locking ring, is almost impossible to access. Note – the YN622C II now resolve the locking ring issues by providing a quick release lever locking foot. Remote Flash Zoom Setting from camera (can override). ETTL Ratios set remotely are limited to 1:1, 1:2 style ratios instead of FEC via groups (like ST-E3 etc). UPDATE – June 2014 – The YN-622C-TX transmitter units have now Resolved most of the limitations above. Test Fire Button is Difficult to Feel. Low 6 to 12 volt safe trigger voltage for speedlight mounting. The functions available with the 662C do depend on camera and flash models used, and they are basically split into Type A & B Cameras (and Mark I & II style flashes). Powershot G12 – So far we have user confirmation the G12 will work in both ETTL (with FEC from the camera) and Manual Power Level controlled via the camera Flash Control Menu. (ETTL ratios or multiple Manual groups are yet to be confirmed). If you can confirm functions working with any of the G series cameras please let us know in the comments. Thanks! ETTL – Global FEC control is available from the camera, but not ratios. Individual FEC can be set directly on each flash to achieve a ratio though. ETTL – Full ETT Ratio Control and FEC in 3 groups from the camera menu. Flashes that do not support remote manual flash control through the camera menu. ETTL – Global FEC control is available from the camera. Ratios may be available, though individual FEC can also be set directly on each flash to achieve a ratio if needed. Type A Cameras – this allows mixing of ETTL and Manual by allowing you to set ETTL, Manual (or Multi) on any flash, including the on camera flash, by making settings directly on the flashes themselves. FEC from the camera will still be applied globally to any flashes set to ETTL, and you can also set FEC individually directly on each flash unit. There is no remote Manual power control for the off camera flashes in this mode, but this is still well designed for wedding / event photographers etc who may require an ETTL flash on camera, as well as some remote manual flashes to help lift the background light in the room or create rim lights etc. The Canon menu system would not normally allow mixed ETTL and manual otherwise. 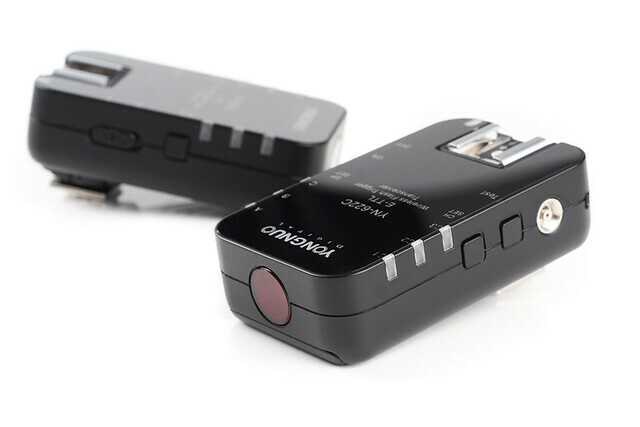 Type B Cameras – Because Type B cameras do not have a flash control menu for remote control of the flash units, they should always be set to mixed mode so that Manual power levels or FEC can then be set directly on the flashes units themselves. This also sets the camera to HSS by default so that will start as soon as you go over the cameras x-sync shutter speed. Setting Mixed Mode – Mixed Mode only needs to be set on the 622C mounted on the camera (by holding the Channel button for a few seconds). Setting a receiver to mixed mode allows the zoom on the flash attached to it to be set manually, separate from the camera menu zoom setting. Its easy to see where YongNuo got their inspiration for the 662C. The case is almost identical in size to the Pixel King, except for the bulge on the one side of the King which holds that all important USB port which the 622C misses out on. The other addition as seen below is the extra button on the side which is a dedicated test fire button, something the Kings desperately lacked. Both units have screw lock PC sync ports which are not ideal, but do the job. Locking rings on both units are smaller than ideal, I already had to use pliers to unlock the ring to remove the trigger from the camera once. And this is more important with the YN-622C as it needs to secure a flash on top of the pass through hotshoe when mounted on camera as well. 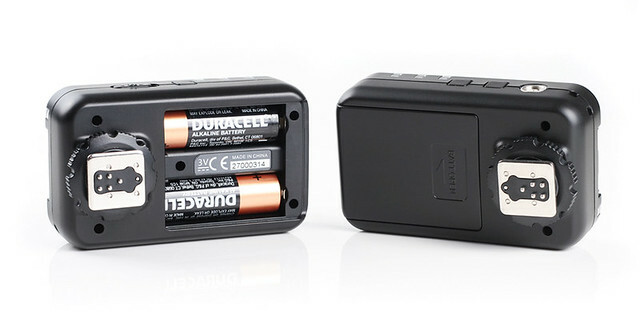 Batteries used are standard AA and appear to be lasting well. Note – due to their higher voltage its often best to use good Alkaline Energizer of Duracell batteries rather than rechargeable NiMH batteries. The case is well finished and feels quite solid. Because the YN-622C are transceivers they are exactly the same unit for both transmitter and receiver. So they have the same metal foot with TTL contacts on all units, and therefore no threaded mounting hole on the base. This means that if your umbrella swivel etc does not have a cold shoe already, you will need some form of coldshoe with threaded mounting hole in the base to attach a 5/8 stud etc. The Frio plastic type shoes appear to be gaining popularity, I haven’t tried those but I’ve been very happy with the metal clamping coldshoes shown from flashzebra.com, or the original Stroboframe . There are some dodgy versions out there otherwise unfortunately. The 622C have an ETTL Pass Through style Hotshoe on top which allows a full ETTL flash to be used on top mounted on the camera. A Flash mounted on top of the 622C on camera is definitely a little more firm fitting than the Pixel Kings, but still not as neat as the Phottix Strato II for example which have pretty much set the standard for a neat fit so far. This is important because a flash on camera with the head constantly tilted and swiveled puts a lot of stress on the trigger shoe and foot, and any movement there can quickly compound, eventually causing the TTL contacts to loose communication and become unreliable. My personal thoughts on pass through hotshoes are (unless exceptionally well made) that they are never going to be an ideal solution for constant serious flash on camera use. But this is a really important feature for many wedding and event photographers, and given the current lack of other options (other than the high priced 600EX-RT ) I think a lot of people will be giving the 622C a try. One option is the Mixed Mode mentioned above, where the flash on camera can be set to ETTL or Manual independently of the off camera flashes. So for example the flash on camera could be set to ETTL, and the off camera flashes could then be used in manual to help lift the ambient light in a room. You loose remote power control of the Manual set flashes, but at least this allows mixed ETTL and Manual. The other option is the flash on camera is simply treated as group A from the camera’s Flash Control Menu. So all flashes on and off camera can either be in ETTL or Manual, and all remotely controlled from the camera menu. The flash on camera zoom setting is intentionally NOT controlled by the camera flash control menu so that it can be set separately to the off camera units, or set to auto to follow the lense like a regular flash on camera. Again this is well thought out for on and off camera flash use (unlike the Kings zoom function which can be hard to tame). The flash remote control capability of the YN-622C is determined, and to some degree limited, by the Canon flash control menu. Having been spoiled with the Phottix Odin and PocketWizard AC3 I can’t say I’m a fan of the Canon menu, but it is often better than the flash interface itself, and certainly much better than no remote control of flashes at all. Manual – You can select up to 3 groups and simply adjust the manual power level of each separately in 1/3rd stops (or the graduations as set in your camera options). Three groups on would be set to A:B:C. The other options are A:B for 2 groups, or ALL to fire all groups at the same setting. One small catch here is that you can’t simply turn off say group B for example from the camera. You would need to switch the flash off itself, or possibly just wind the power right down on the camera. ETTL Ratio – With the Canon system you really only have a ratio available between 2 groups at most (A & B). The third group C can only be a background light, if you aim C at the subject it can blow out the exposure. The group C is therefore adjusted with separate FEC. The A & B ratio is adjusted in the old system of 1:1, 1:2, 1:4 etc. That’s pretty outdated and a bit counter intuitive compared to the ST-E3, Phottix Odins, and PocketWizard AC3 which allow you to simply adjust FEC up and down on each flash. But its certainly better than no controllable ratio like the Kings. You can actually set FEC for each flash directly on the flash itself though. In Mixed Mode you could also create a 3 way ratio in ETTL, by setting FEC individually on the flash units themselves to first create the ratio, and then adjusting global FEC up and down from the camera as needed. 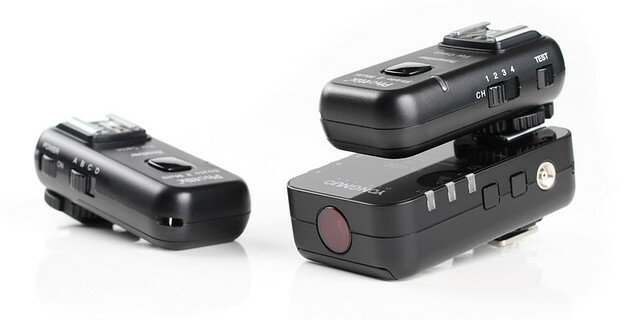 Flash Exposure Compensation is adjustable from the camera with Type A or B cameras. But FEC can also be set on the individual flash units themselves, and that will add or subtract from the camera setting. So you can get up to 6 stops of exposure compensation which can be a big help. FP HSS works when a compatible HSS enabled flash is attached to the 622C hotshoe on or off camera. Most Canon EX flashes allow HSS, and YongNuo have also just released their first, and cheapest HSS enabled flash available so far, in the YN-568EX. Edit now also the YN-568EX II, and the YN-500EX. HSS looses a couple of stops of power, but its main purpose is for fill flash while allowing higher shutter speeds in bright ambient light, so that larger apertures can be used to blur out the background and create a nice bokeh. ND filters can acheive a similar result with a stop or so more power, but HSS is much faster and easier to change in a fast paced environment than messing with ND filters. Good convenient variable ND filters like the Singh Ray are also not that cheap either. Ganging 2 speedlights together often helps to retain some usable power in HSS and reduce stress on the speedlights. HSS is not for everyone but many wedding, event, and portrait photographers would hate to be without it now, on or off camera. The freedom of selecting any shutter speed is fantastic, and the 622C certainly helps makes it more affordable off camera now too. Second Curtain Sync works with the off camera flashes, but not with the wireless menu function enabled. So you no longer have remote control of more than one group. But that is still much better than no second curtain sync at all off camera (like Canons RF system). The FEL button works when using ETTL. I find this really important for off camera ETTL as it acts like a spot meter and really lets you make the ETTL exposure decision yourself by choosing a tone in the image to meter. For people I normally just meter on the face / skin while focusing on the eyes, and its very rare for the ETTL exposure to go amiss this way even in difficult conditions. The Test Fire Button on the 622C, like on the Pixel Kings, has a small delay, but that’s not really any practical issue. The important thing is the test button fires the flash at the correct power setting so a light meter can be used to take readings. Another separate 622C unit held in hand (and away from the camera) can also be used to test fire all the flashes at the correct power level, even when using remote manual power settings from the camera. Also when using remote manual power levels there is no pre flash, so you can fire the camera shutter as well to take a reading (possibly with a remote shutter release as well). You can actually select which groups you would like to test fire at once, by scrolling through the groups while holding the test fire button. I don’t know how practical that would really be for quick light meter use though. If a light is really difficult to reach to turn off etc then it could possibly be easier switching it off like that from the Tx to take a reading . This is a really welcome feature, something I’m amazed the industry standard setting PocketWizard, and now even Canon has overlooked with the new ST-E3. The AF light itself is the same as used in the YN-565EX flash unit. Its reasonably basic for centre focus point use only, but it is a pretty bright and sharp laser which projects a grid contrast pattern within a small circle, which is easily big enough to cover the centre focus point. I found it locks on focus just fine even with a 50mm F1.8 lense which has a lot of hunting for focus in low light otherwise. I’ve been harassing manufacturers for a long time now to make a stand alone AF light to mount radio triggers on top. Ironically a single 622C unit can also be used just for this purpose. I tried a number of manual triggers on top and they all appear to work fine. There may be a very small amount of delay added but I think this is hardly enough to see a change in sync speed (or more shutter curtain in an image). Even without using flash the 622C can be handy sometimes on the camera hot shoe just for the AF assist alone, just shooting high iso in low light. The YN-622C are not currently directly compatible with any other YongNuo trigger, and no other YN triggers have been cross compatible in the past either, but YongNuo have a new engineer in charge of trigger development who has indicated that will soon change. In the mean time though the 662C will actually work with most other manual triggers at the same time by simply mounting the other transmitter on top of the 622C hotshoe. So you can still combine your current YN triggers or most other manual ones like the Strato II shown above, or RF-602 below. So don’t be tossing those old triggers just yet! Supersync (often know as Hypersync, which is PocketWizard’s trademark term) is a method of achieving higher sync speeds than your cameras x-sync speed with manual studio lights and speedlights. Sync speeds over the cameras x-sync are working well with manual speedlights, the timing is correct for a clean frame at any shutter speed up to 1/8000th (flash must be set at full power, and this was tested using a 1.6 crop frame camera). This is basically the standard timing so results should be similar to that of the Pixel Kings and Phottix Odin etc which also allow this feature. Supersync with the 622C only works for lights attached to the receiver via a PC sync cord, which is a little bit of a hassle because YN do not supply a sync cord. But also triggers like the Kings and Odins conveniently allow this straight from the hotshoe with manual-only speedlights. Note – Regular FP HSS with speedlites still works with flash directly mounted to the 622C hotshoe. There is no adjustment for Supersync timing though (like PocketWizards) so different monolights and camera bodies will achieve different results. You will have to try with your gear and accept what you get there. This is often best with inexpensive monolights that have a long flash duration. The main advantage of Supersync is for freezing action with a high shutter speed in bright ambient light (daylight etc), which is quite difficult to achieve otherwise. I don’t think it is mentioned in the manual, but if the battery level is low, when you enter the camera menu or half-press the shutter, the status LED will blink RED-GREEN quickly. Hold down the [CH SET] and [GP SET] buttons at the same time until state indicators blink 3 times in red – green alternately then change to keep lighting (red), release all buttons and the factory reset is complete. This is not uncommon with TTL triggers just due to they way they operate. The Kings or Odins do not have a shutter release function either. 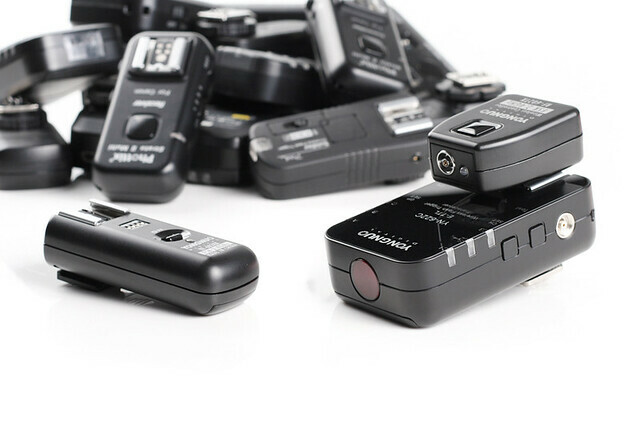 You can always use another trigger or wireless shutter release at the same time as the though. If 2 cameras with flashes mounted on top, are set up to fire the same set of remote off camera slave flashes, there can be a problem. As they will set off each others on camera flash each time either camera takes a shot. A work around has been found for this by simply setting the on camera YN-622C to Group C, and the off camera YN-622C to Group B. The cameras are then both set to fire Group A:B (in ETTL or Manual) via the cameras menu . So when one camera takes a shot, the on top flash is treated as group A (as an on top flash always is), and the remote flash is Group B. The other cameras on top flash retains its Group C setting though, and because Group C is not enabled in the A:B firing Group set on the camera, that will not fire the other cameras Group C flash. Of course the best method is to have a separate slave flash for each shooter (mounted on a dual flash Mulit Boom etc), and set both cameras YN-622C’s to a different Channel. 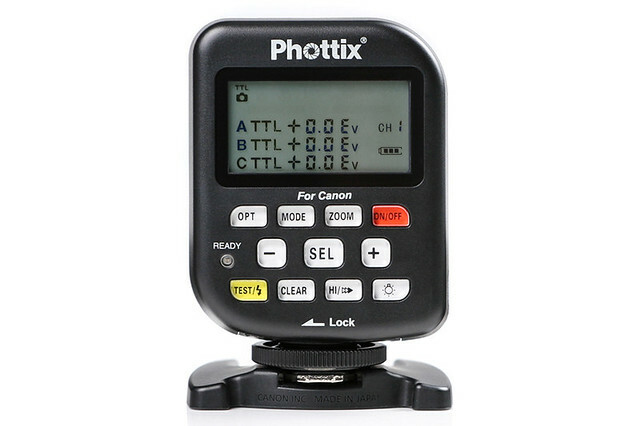 The 622C’s remote control ability is fantastic for the price, but they really don’t compare to the Phottix Odin, PocketWizard AC3 Zone Controller, (or even Canon ST-E3) when it comes to speed and ease of use through the user interface. I realise these are not in the same price range but people are often quick to look for the cheapest trigger and overlook just how much difference a good system can make. Messing with lighting can be one of the most disruptive things sometimes so it also where the biggest gains can be made as well. Once you’ve been spoiled with a good system it can be hard to go back. The 622C are limited by Canons flash control menu, where as the Odins, PW AC3, and ST-E3 etc give you full access to the 3 groups all straight in front of you. Any one group can then be switched on or off, switched from manual to ETTL, or adjusted in FEC instead of restrictive ratios. With the Canon flash menu you can’t even just simply turn a group off in manual, you can only select A:B or A:B:C etc. And you can’t mix ETTL and manual without loss of remote manual control. So the Odins etc are more user friendly and fast and simple to use, the catch is they don’t allow a flash on camera like the 622C, and the Canon 600EX-RT is considerably more expensive again at this stage. That’s the tough decision people who need serious flash on camera use have been dealing with, and the 622C are going to make the decision even harder. Any Reason to Still Get a Manual Trigger now? I’ve been asked the question a number of times already, is there any reason not to get these instead of a good manual trigger like the (similarly priced) Strato II ? Again this can be another hard decision. The manual trigger is not really going anywhere soon, you only have to look at the latest PocketWizard Plus III to see that a good simple solid reliable manual trigger is still very desirable even if you do use them mainly with speedlights. Manual triggers don’t send a lot of information back and forth like TTL triggers constantly do, just a quick simple fire signal. So they can be faster with sync speeds, over greater range, and using less battery power. 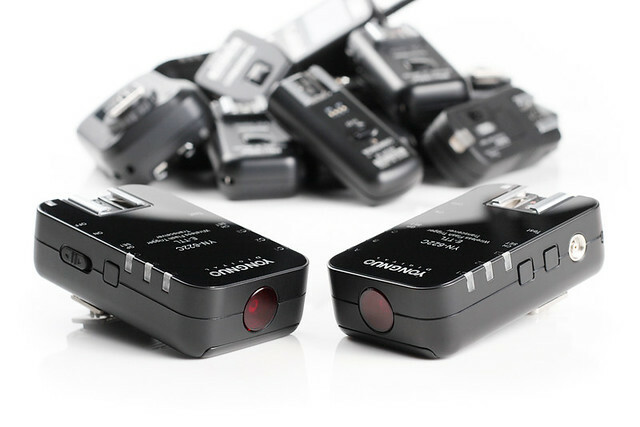 Most can also be used as a shutter release. But simple light meter use is often the area basic manual triggers have held the advantage, as they have no pre-flash comunications to confuse the light meter like TTL triggers often do, even in remote manual. Fortunately the 622C do not have this pre flash in remote manual either, so you can generally take a reading by firing the camera shutter, or using the test fire button on any 622C unit (even one held in hand). The Strato II otherwise are a nicely refined design basically at the top of their class, where as the 622C are currently the cheapest in their class, a first new model, and so not as refined in physical design. The Strato have a much more solid fitting pass through hotshoe and easy to use locking rings, switches, group and channel selection. The grouping system is much more suitable for quickly taking light meter readings with different groups switched on or off quickly. And they come with all the quality cords you could need including shutter release, where the 622C don’t provide any cords. Manual triggers like the Strato II are not going to go out of date with future compatibility issues, so they are more of an investment than the 622C which are more about maximum bang for your buck now. It really comes down to whether the remote capabilities, TTL, and possibly HSS of the 622C are what you are looking for or not, and if you have the compatible gear to make full use of them. No cords or anything else are included. In comparison the Kings come with a number of cords, batteries, stands, and a very nice padded case (which I love and still use for everything else too). But I can’t fault YN for this as most people are after the lower price point and the extras are not so important. I was hoping you may be able to help. I currently have a 70D and a canon 580ex ii flash and have just bought a YN622C-TX flash controller and a YN622C II transceiver with the intention to expand my photography and use off camera flash that is wirelessly triggered. I currently only have the one flash unit (but hope to expand soon). I have tried some initial tests and have had some issues with this setup. I have the canon 580ex ii attached to the YN622C transceiver and is set to master and I have tried controlling it via the YN622C-TX controller which is on my 70d. The flash fires ok but I cannot control the power or zoom remotely. I have checked and the groups and channels are the same. I bought the YN622C-TX specifically so I could control the settings on camera and I don’t seem to be able to. Am I missing something? Any help on this would be great. You don’t want the flash set to master (or slave), it needs to be set to just regular TTL mode, and the transmitter will take over from there (setting the flash to manual etc if that’s what you select on the transmitter). Thank you for your reply. I had tried that and the images is always over exposed. I have tried it both in manual and aperture priority and each time the image is over exposed. The reason I set the flash to master after experimenting was that I got the correct exposure. I have tried again as you suggested and when set to TTL I cannot control the power output or zoom and it still over exposes. Do you think I have a faulty unit or am I missing something. By the way I have updated the firmware to ensure everything is up to date. Ok now worries. You don’t want to be in Master mode though, so when testing anything further you need to set the flash to TTL. If the exposure is possibly blowing out completely you may simply not have the triggers seated properly in the camera hotshoe and flash foot. Its easy to miss this, so make sure they are really seated all the way on. Also do a factory reset on both triggers (YN-622C – hold he Channel and Group buttons together until the red status light stops flashing, YN-622C-TX – hold he top 2 center “clear” buttons). Can you see the manual power setting available in the cameras flash control menu? UPDATE – I was just having lots off issues with the YN622C II when I started trying to test this, and I went through with factory resets, then reloaded all the firmware, with still no luck. I’m not sure if this was just a coincidence or if the YN622C II are a little more sensitive to low batteries, though as soon as the new batteries went in all the settings I couldn’t get before including remote manual, remote zoom etc where now working fine. So you may want to give new (Alkaline) batteries a try if you haven’t already. Thanks for your help with this it was sending me nuts, and still is! I have tried all you have suggested all of which makes perfect sense I have even tried new batteries because I was using eneloop rechargeable batteries. I swapped them with new normal batteries and still the same result. The flash fires fine it is just over exposed. There is no control over the power output so the TTL is not working. It looks like the signal to fire is getting through but I am not able to control anything! I have a horrible feeling I have a faulty unit! Unless you can think of anything else. You wouldn’t possibly have the receiver in Mixed Mode? In that case the current Channel indicator light would stay lit, and you loose remote control of the flash then. (To cancel Mixed Mode you hold the channel button for 3 seconds). Other than that I’m really not too sure what would be causing that result. All seems set up as it should be. The channels are the same as are the groups. I have also tried putting the YN622C II transceiver directly on my camera and put the flash on top to see if the flash would fire properly and again the image is over exposed. The flash works perfectly when just on the camera. It also works as a slave when using the optical trigger with the popup flash. I therefore can only think that the YN622C II is faulty. Thank you for all you suggestions. I am having this exact same issue. I have a Canon 70D; I’m using YN622C II transceivers, YN622C-TX controller, and a 580EX II flash. Everything is on the same channel and group setting. The flash will fire when I “test” from either the controller or the transceiver unit; and the flash fires when I take a picture. However, no matter what adjustments I make on the controller, the LCD on the back of the flash never changes; and further, the output of the flash never changes. It keeps flashing on full power, no matter what I try. Also, changing flash settings from the camera menu will change the settings on the controller; but those changes don’t appear on the flash’s LCD or output. I’m at a loss on this one. I keep finding other people with the same issue, but no solution yet. The problem I was having was due to a faulty YN622C II transceiver. I returned it to the supplier and they sent a replacement unit which now works perfectly. Before I returned the YN622C II transceiver I first tested it by placing it directly on my 70D’s hot shoe and attached the flash on top and tried using the flash through the YN622C II transceiver. The flash didn’t work properly with this setup so I deduced it was the YN622C II transceiver that was at fault and not the YN622C-TX controller which in fact turned out to be the case. What version of ETTL do these support? I have an EOS-3…yup film camera, that supports ETTL. But when I attempt too use a YN622C-TX or a 622C on the camera, all it does is lock the camera up. In legacy mode it works, but it would be nice if I could use SOME form of TTL. This is considered a Type B camera….